Lavenham airfield, known officially as AAF Station 137, was built in 1943 to the standard Class A specification seen on many other airfields. Class A was the specification set for an airfield that was to be used as a heavy bomber station with three runways, 50 hard standings, two T-2 type hangars for aircraft maintenance, a bomb dump and enough accommodation to house around 2900 personnel. Upon completion of the airfield, the 487th Bombardment Group (Heavy) arrived on the 5th April 1944 equipped with the B-24 Liberator. Operations began on 7th May 1944 with a mission into Germany to attack industrial targets; however the following day the group began operations in support of the upcoming allied invasion of Europe attacking German coastal defences, airfields and marshalling yards that would be vital for the German defence and supply movements. 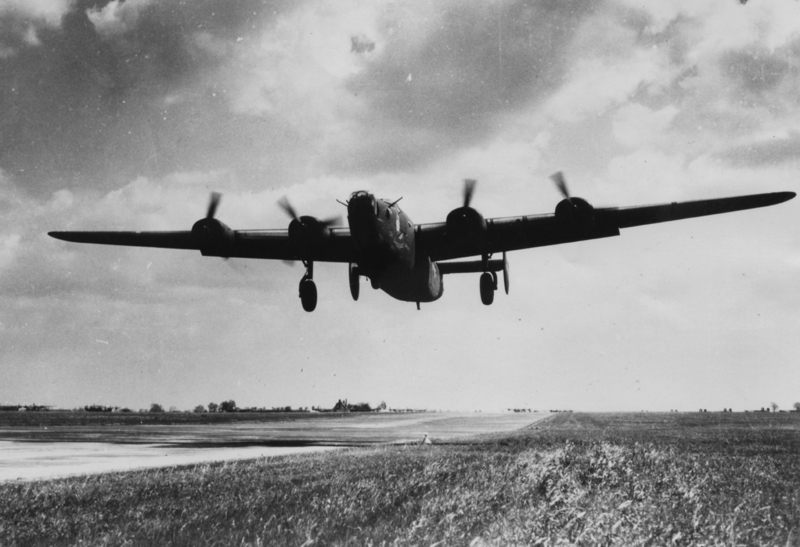 The 487th was tasked with strategic bombing missions; however like many 8th Air Force Bomb Groups, they also provided tactical support for ground forces in Normandy on D-Day, 6 June 1944 and attacked German troops and artillery positions to assist British forces near Caen in July. The group was again tasked with similar tactical support missions during the allied advance on Brest on the 11th August, and as this time the group converted to the B-17 Flying Fortress. Now the 487th returned to flying strategic missions against German industries, refineries, and communications targets along with support missions for Operation Market Garden in Holland, Battle of the Bulge, and the allied crossing of the Rhine in March 1945. At the cessation of hostilities the group had flown 181 combat missions with the loss of 47 aircraft and had returned to USA by September 1945. 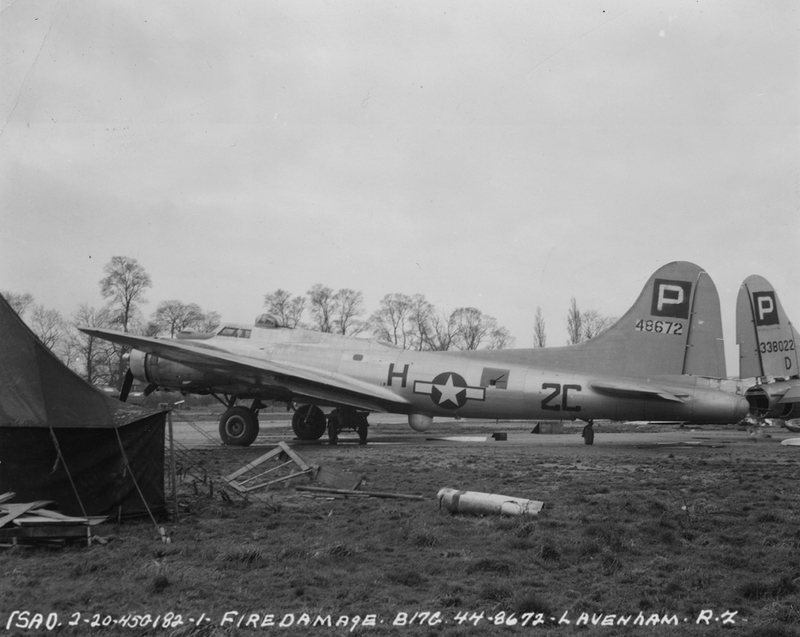 Lavenham was closed in 1948 and like many such airfields, was returned to agricultural use. Today a unique and enduring legacy has been preserved at The Swan which is located in the heart of Lavenham. 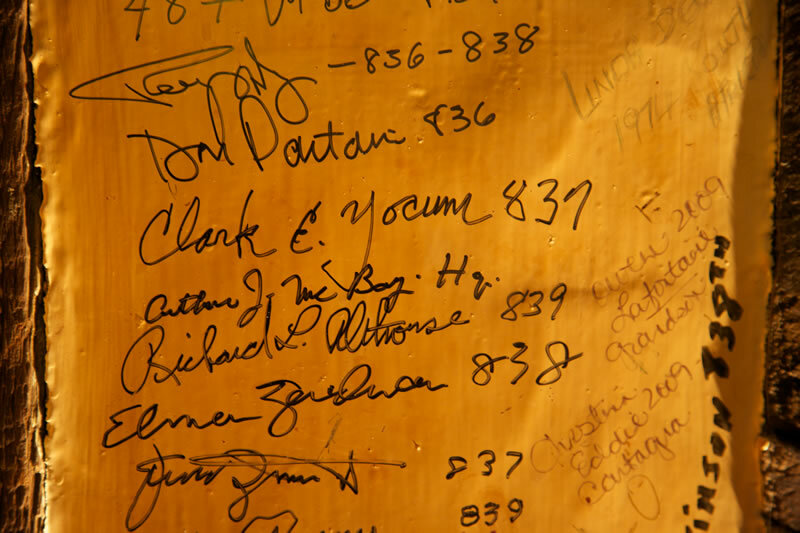 British and American servicemen would come to this 15th century pub to relax, drink and socialise and an inspiring collection of signatures and other mementos adorn the walls, turning the Airmen’s Bar into a living piece of history. Take time to read the Boot Record, a challenge to drink three and a half pints of ale from a glass boot in record time. The results were inscribed on the wall by members of various British units and are still able to be viewed today. Please Note: The former airfield is now out of bounds to the public as this is on private land; however visits can be made by appointment via the Lavenham Tourist Information Centre.